Nokia has launched 3 Android smartphones so far named Nokia 6, 5 and 3 respectively. ( Honorable Mention – Nokia 3310). There have been a ton of leaks related to the Nokia 8 and 9 that are said to be the upcoming flagship smartphones from the former ‘king of smartphones.’ There is no reliable leak so far as we have only seen the concepts of the phones so far but today, two flagships from Nokia leaked via the official introduction video of the company that are said to be the Nokia 9 and 8. Nokia 9 on the Extreme Left? One of the first thing that will come to your mind is that Nokia has launched only three phones this year, but the introduction video shows 4 Nokia phones. And more interesting thing is that, from the 4 phones that are shown in above image, the 2 phones are Nokia 3 and 5 whereas the other two are unknown. ( Nokia 6 isn’t in the image).The phone at the extreme left has the dual camera setup along with the shiny glass back. We cannot confirm that name, but it is rumored that it’s the Nokia 9 that will feature the high-end specifications and a premium design. With the Nokia 9, we can see another smartphone with front-facing fingerprint scanner and single rear camera and it is surely the Nokia 8. Even some rumors suggest that the Nokia 9 will feature the In-Screen fingerprint scanner and if you zoom at the image above, you’ll see that there is no fingerprint scanner on the Nokia 9. A reveal film to tease a new range of Nokia smartphones. The devices were still in development so the shape and form is much more simple than the final products that have now been launched. Overall, there is nothing very interesting in terms of the design as it seems that the company wants to keep the same design for all its devices coming this year. The display too has normal bezels so it is not that ‘bezel-less’ kinda display at all. 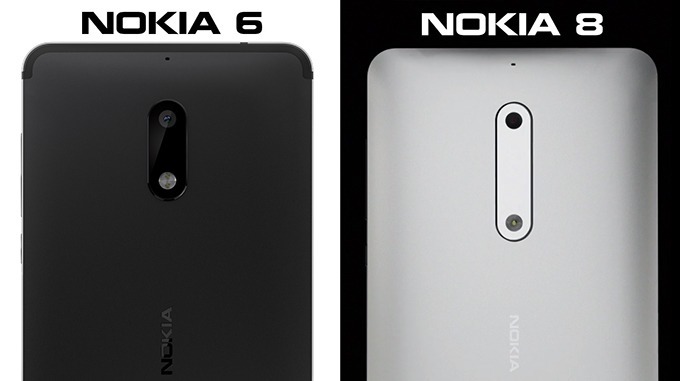 What are your views on these new Nokia phones i.e Nokia 8 and Nokia 9? Do let us know via the comments section.